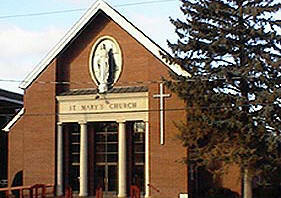 The Catholic Churches of Massena – now, St. Peter’s Parish – consists of Sacred Heart Church, St. Lawrence Church in Louisville, and St. Mary and St. Joseph Church. 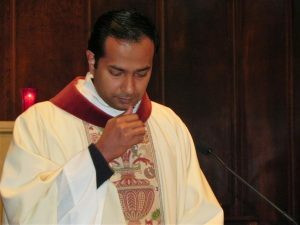 The Parish is presided over by Reverend Mark Reilly with the assistance of Father Tojo Chacko and Father Micheal Jablonski, along and Deacon Tom Proulx. 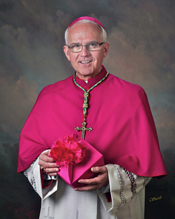 Our churches are part of the Ogdensburg Diocese. Parents are the primary educators and witnesses of the faith for their families. Parents/Sponsors of First Communion (2nd grade) or Confirmation Students (9th grade) will have Faith Formation sessions to enable them to specifically prepare their children for the reception of these sacraments of initiation. Regular Sunday Mass attendance is part of this preparation. 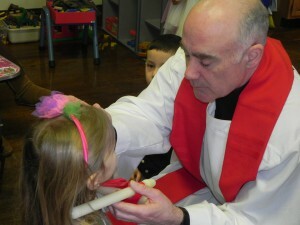 Trinity’s second graders will be preparing for the sacraments of Reconciliation and First Communion. 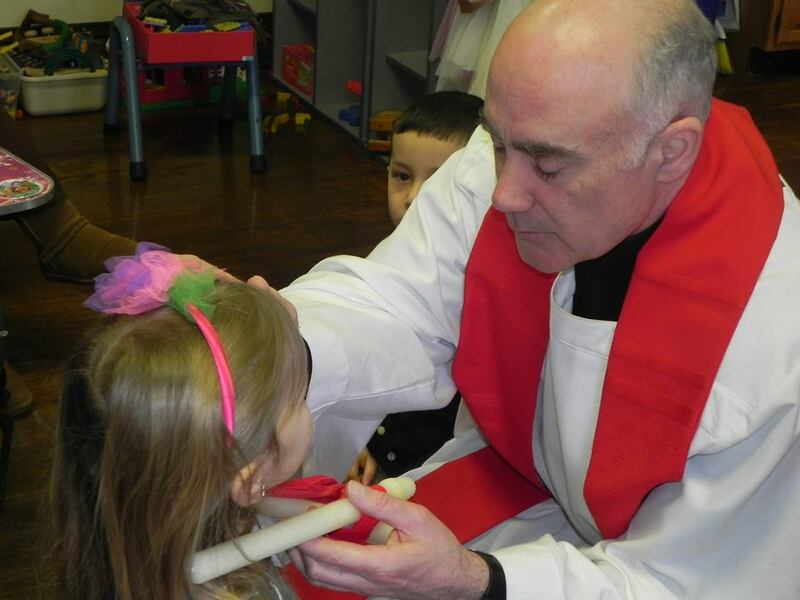 Reception of the sacrament will require parents and child to attend Super Sunday faith formation sessions on several Sunday mornings during the year, in addition to the education they receive at TCS. 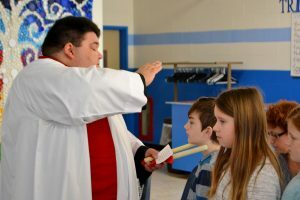 Students who have graduated from Trinity will need to attend Sunday Evening Faith Formation sessions for 3 years, which can begin in 7th Grade. The final year of preparation will require parent and/or sponsor participation in some of the sessions. 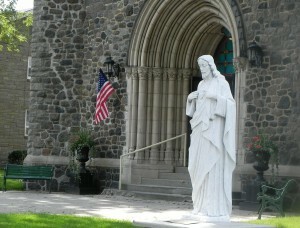 Click here to visit the Faith Formation area of the St. Peter’s Parish website. There you will find a registration form (one per family), calendar and the Sacramental Policy for First Communion and Confirmation. Please sign up, so that local Director of Faith Formation, Dianne Pomainville, can put your names and addresses in the Flocknote application and keep you informed. Beginning in Fall 2018, you can sign up all your children on the same registration form. 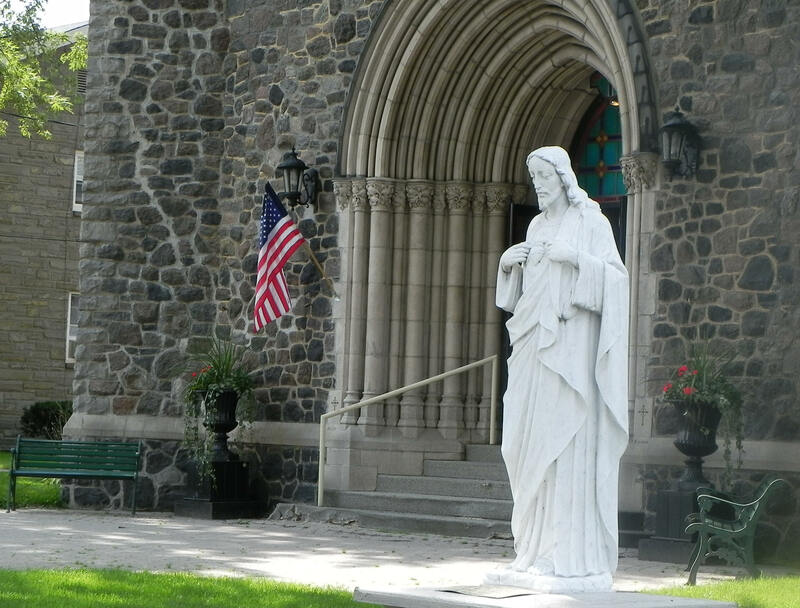 Please feel free to call the parish office at 315-769-2469 or email Dianne Pomainville with any questions at dpomainville@massenacatholics.com.